Rigano LLC has extensive experience working on tidal and freshwater wetland matters involving development activities regulated under state and federal law. We handle enforcement actions where a governmental agency expresses concern over client activities that typically lead to negotiations with the agency. Rigano LLC has successfully resolved many wetland actions. We also advise clients on development proposals to promote compliance with complex regulatory requirements so that our client’s development can proceed. 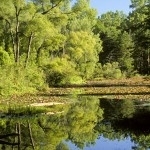 We also have a substantial background in the Central Pine Barrens, a 100,000-acre forest preserve on Long Island. Complex requirements govern development activities in the Central Pine Barrens and we have many years of experience working with these requirements and advising clients on compliance matters. Rigano LLC also works with clients on a range of municipal land use issues, whether it be enforcement, administrative compliance, or obtaining the requisite permits. Our work is typically focused on specific issues, including subsurface contamination, wetlands, or Pine Barrens uses.